The Joburg Advocacy Group has been hard at work over the past two months. In May and the first half of June, we were privileged to be involved in the planning of the Proud to Host campaign, a community-driven campaign established to clean up and rehabilitate the suburbs around Ellis Park Stadium in the run-up to and during the 2010 Fifa World Cup. 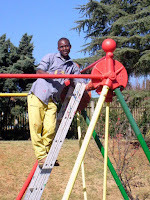 Together with volunteers from the I Love Kensington Association (ILKA), volunteers from JAG also set up the Kensington Community Work Programme (KCWP) in Johannesburg's historic suburb of Kensington. The programme aims to rehabilitate public spaces, provide much-needed work opportunities for unemployed people in the area, and foster a spirit of community and cooperation between people of different ages, races, classes, language groups, cultures and religions. 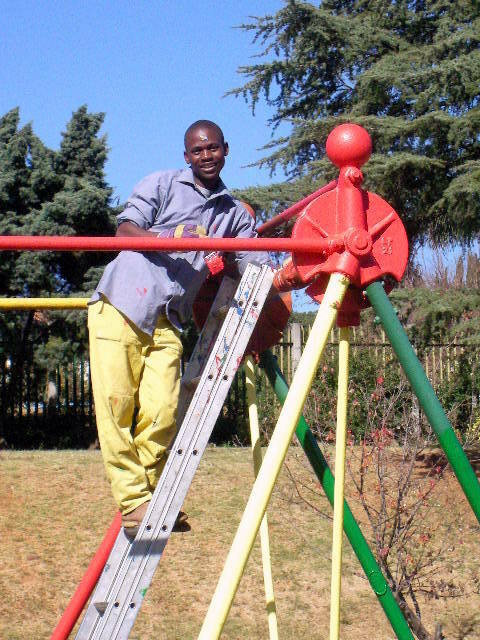 The KCWP has constituted and is currently running four community work projects as part of the Proud to Host campaign, the Rhodes Park Project, the Community Hall Project, the Public Artworks Project, and the Scottish Horse War Memorial Project, and workers from the programme also participated in National Clean-Up Day on 5 June. KCWP draws funding from government's Community Work Programme (CWP), and is supported by Seriti, the NGO tasked with providing technical support for the CWP. JAG was also actively involved in assisting the Kensington community in the task of dealing with the legal, governance and environmental health issues arising from an illegal fan park in their suburb, and are pleased to say the community managed to get it shut down. We're now involved in helping to plan a People's World Cup event to coincide with the monthly Kensington Arts, Crafts and Farmers Market, which is aimed at reclaiming the soccer fields where the fan park was set up for the use and enjoyment of the community. JAG also supported the call from Lawyers for Human Rights for the development of a National Strategy for Sustainable Development, which focuses specifically on the very pressing environmental threat posed by acid mine drainage in the Witwatersrand Mining Basin.